An ink wash and pen illustration of a chandelier. 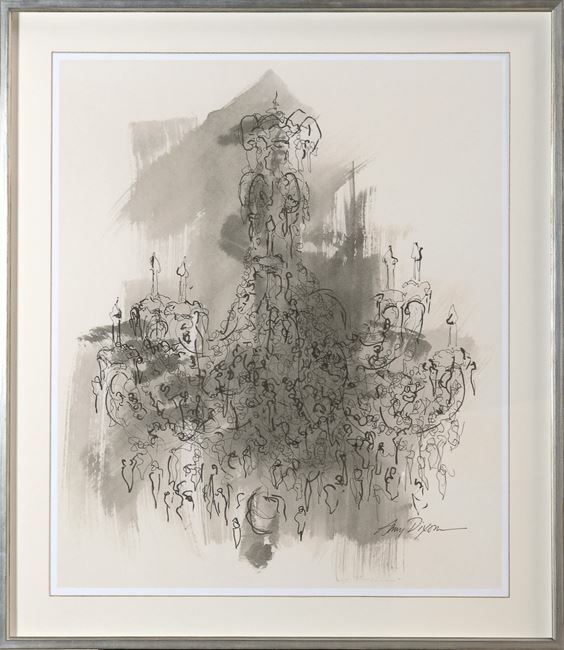 A new take on the chandelier .A loose ink wash is over laid with a sketchy and energetic ink drawing. Definitely no bling here! Set off with a deep framespace and conte edge detail in a creamy ivory profile with soft taupe spattering. A pencil made of compressed powder and clay in numerous colours is used to colour the inner edge of the matte for a colour accent.